I attended my first Taste of Auckland a few days ago (YES I KNOW I'M A TERRIBLE FOODIE SORRY). I had such a great time and we had glorious weather on the day we chose to go yippee! I had been told that Taste of Auckland was slightly pricey, but my mindset for the day was "eat first, cry about how much everything cost later". I WAS SO READY FOR FOOD. I had looked at the menus in advance, and as soon as we got through the entrance doors, I knew exactly where I was going. 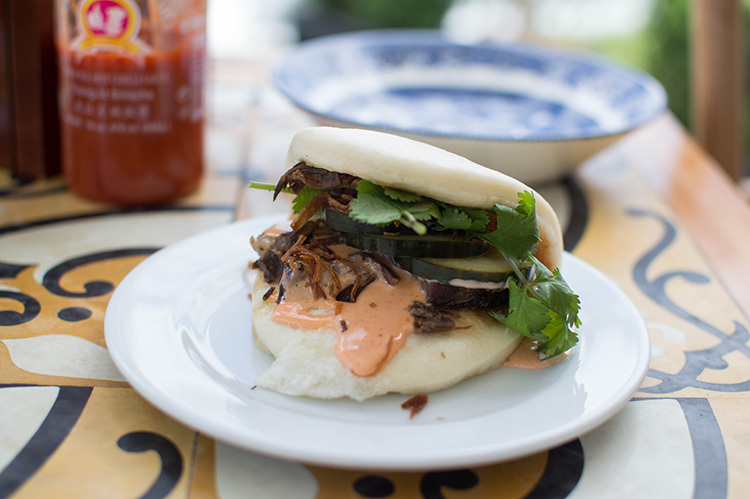 Our first stop was Tok Tok and we ordered the beef brisket steamed bun with sriracha mayo, pickled cucumber and coriander (10 crowns). I. LOVE. BAOS. Tok Tok did an amazing job with this dish – the bao was the perfect softness and the tartness of the pickled cucumber was the cherry on top. My next stop was Fish at The Hilton, where I ordered the Argentinian red shrimp with 'lardo di colannata' and gremolata (10 crowns). I had to wait over ten minutes for my order though which wasn't ideal, since Tok Tok took around two minutes! At least we know it's fresh right? The flavour of the shrimp was delicious and I loved the crackling as well! It just felt like too little compared to the pricing. I saw the FROSÉ sign and immediately stopped. 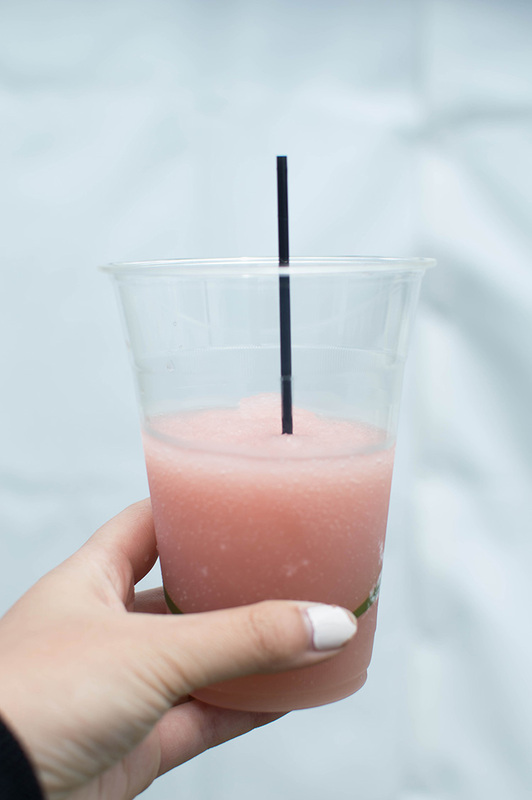 Frozen rosé guys. So good. ARTWOK was our next stop. 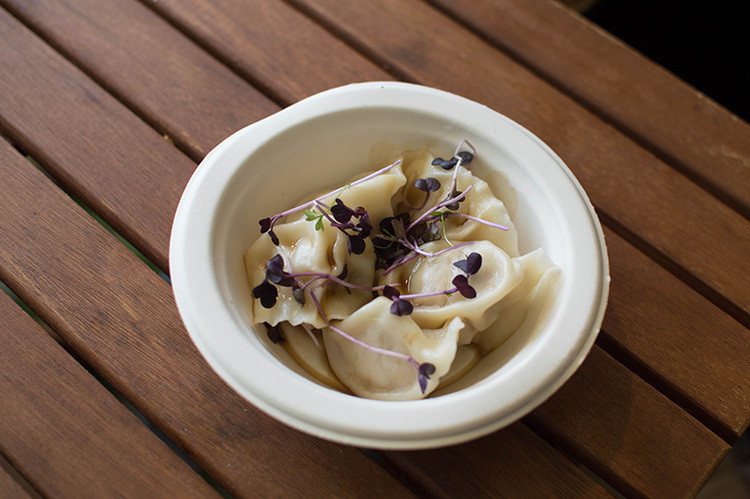 We ordered the shui jiao (dumplings) with pork prawn, spring onion and ginger, served with black vinegar (12 crowns). I actually really enjoyed these, but V said the flavours didn't stand out for him. More for me! We went off to find a drink, and Six Barrel Soda Co. looked like the perfect place to stop. V ordered one of their specialities, strawberry ginger beer. I liked the fresh strawberries and mint that they added to the drink and had a few sips of the soda. I had to warm up to it as I'm not really a ginger beer fan, but V thought it was delicious! 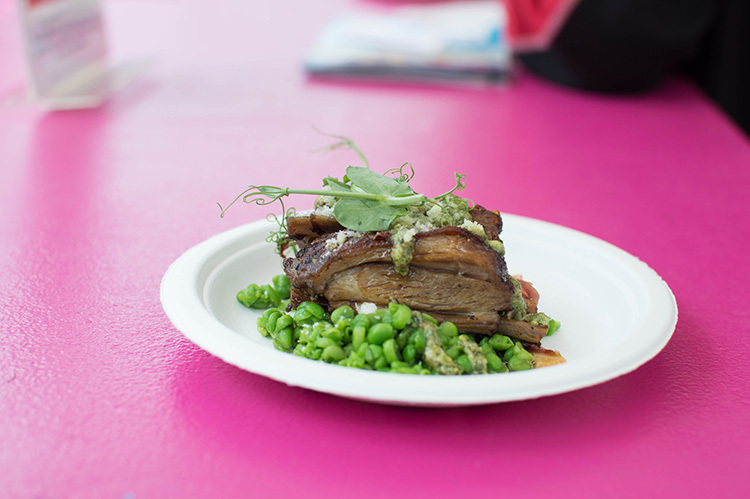 We knew we couldn't leave Taste of Auckland without trying out last year's winning dish, so we headed off to Farina and ordered the Rosticiana d'Agnello – the charcoaled lamb ribs, with crushed summer peas, parma ham, and salsa verde (11 crowns). 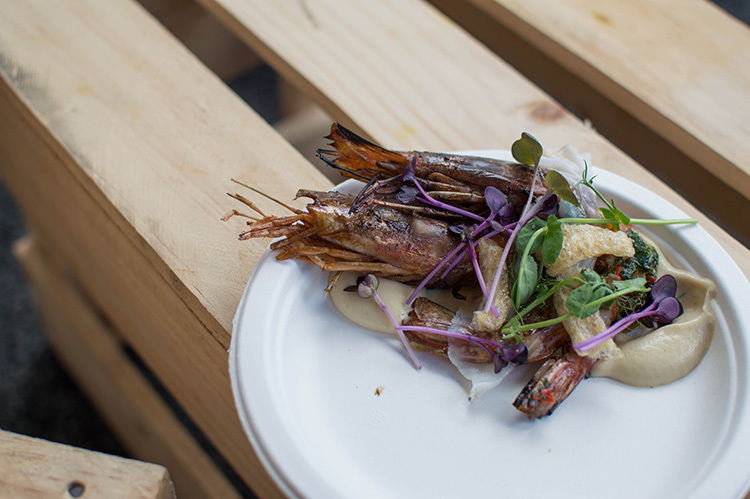 After the first bite, it wasn't hard to see why this dish took out Best in Taste 2015. The lamb was so tender and the rest of the flavours mixed so well together. I don't even like peas, but even they tasted good in this dish! The ingredients created the perfect balance of flavours. 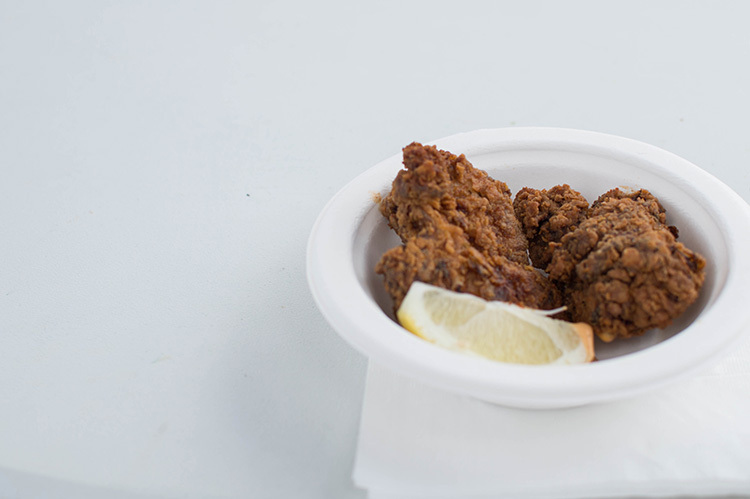 V's favourite dish of Taste of Auckland 2016. V was craving fried chicken, so it was off to Miss Clawdy we went! I'm more of a grilled chicken gal (unless they're wicked wings), but I have to admit, Miss Clawdy do a great fried chicken. 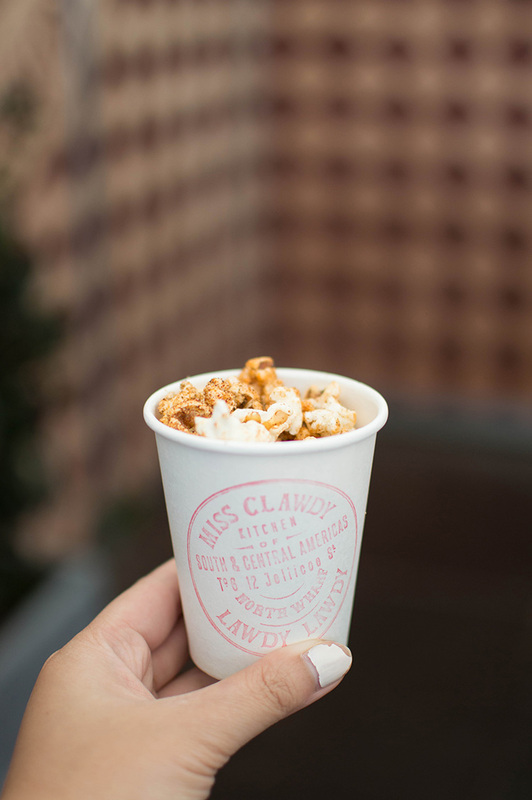 They even gave out cups of their delicious spiced popcorn WHICH WERE SO ADDICTING. We finished off with the Strawberry Variations dish from Euro (8 crowns). This was served with rose water tea, 'espuma' and champagne chilboust. I have no idea what those things were but THIS WAS MY FAVOURITE DISH EVER. I could've easily eaten three plates of these. Fresh strawberries, what tasted like a spongy cheesecake, and the most delicious cream... I died and went to heaven. I will go to Euro just for this dish. Three plates of it. 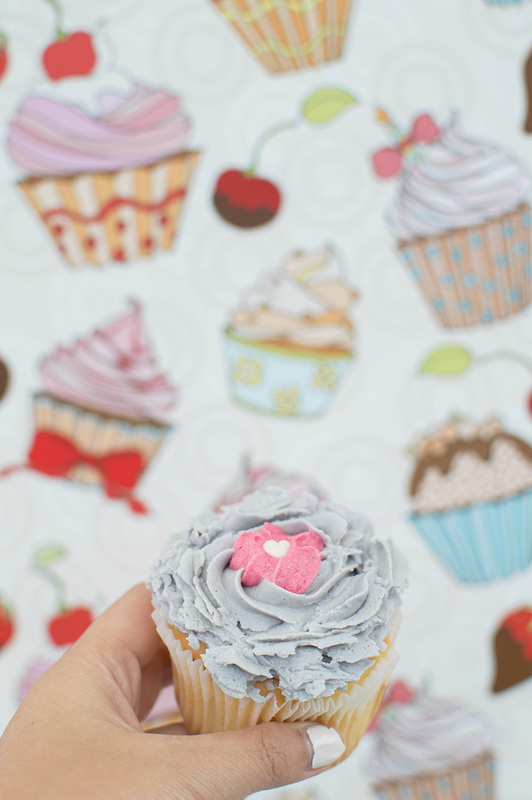 I'm a little embarrassed to put this photo on my blog, because it just shows how incompetent I am at baking. If this was a university exam, I would've failed with a D-. 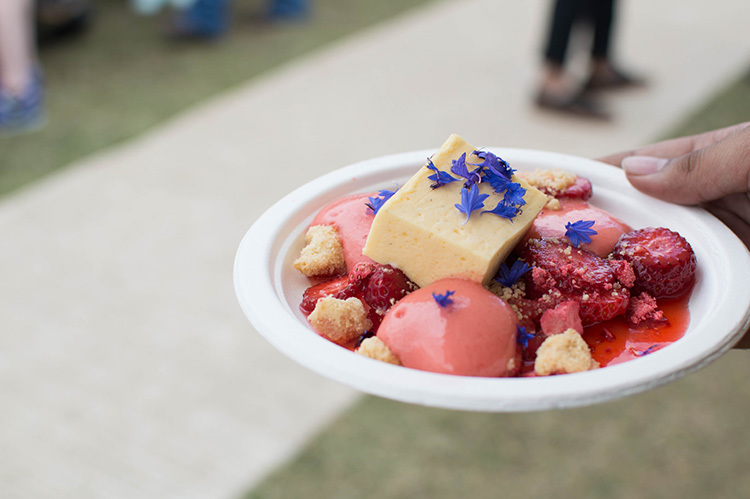 At Taste of Auckland 2016, you got to decorate your own cupcake for free, and then eat it after. If you took a photo of your cupcake by the stand and posted it during the festival, you went in the draw to win a $1000 dining voucher. I obviously didn't win, but I did enjoy eating the cupcake after. I am so guttered because after reading Taste of Auckland blog posts, I knew I had to go to Chef Secrets. We were the biggest idiots because we walked in the complete opposite direction trying to find the Chefs' Secrets marquee, and by the time we got there all the sessions were sold out. I cried a bit inside but all the more reason to go next year! Overall, we spent $100 between the two of us and we had enough food to last me all afternoon (I say me because V was literally full like two dishes in, pffft). I had an absolute blast at my first Taste of Auckland and I think I did a pretty good job trying a range of dishes! If you haven't been to Taste of Auckland, I would definitely recommend going next year! It really was a foodie's heaven. 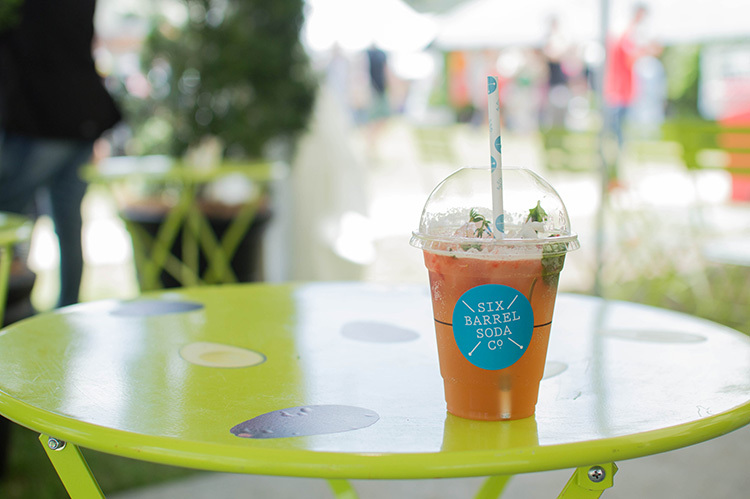 Did you go to Taste of Auckland this year? What was your favourite dish? P.S. While this post is not sponsored, thanks to the lovely people from Taste of Auckland and Lemongrass Productions, I did get my entry tickets for free. All opinions are my own.